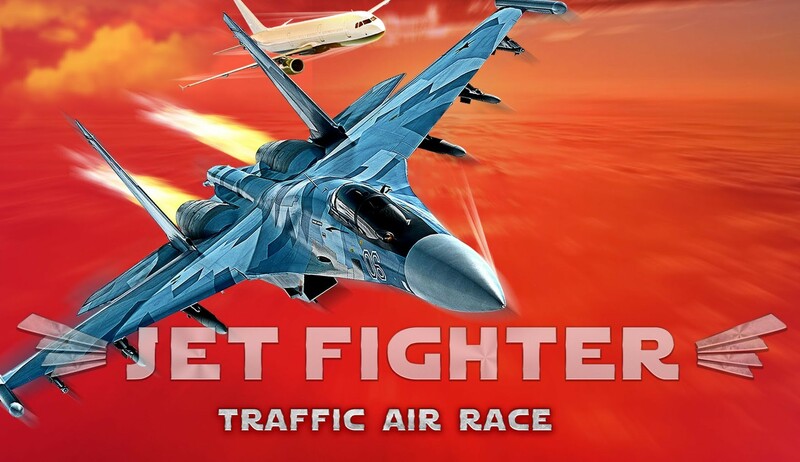 Jet Fighter Traffic Air Race – first such game: original, 3D high speed air racing with best fighter combat aircrafts of both superpowers! The world has gone crazy, what happened? Boeing and Airbus airliners were hacked by some unknown evil hackers, and made aircrafts relocated to the airway where our Jet Fighter is on sortie. 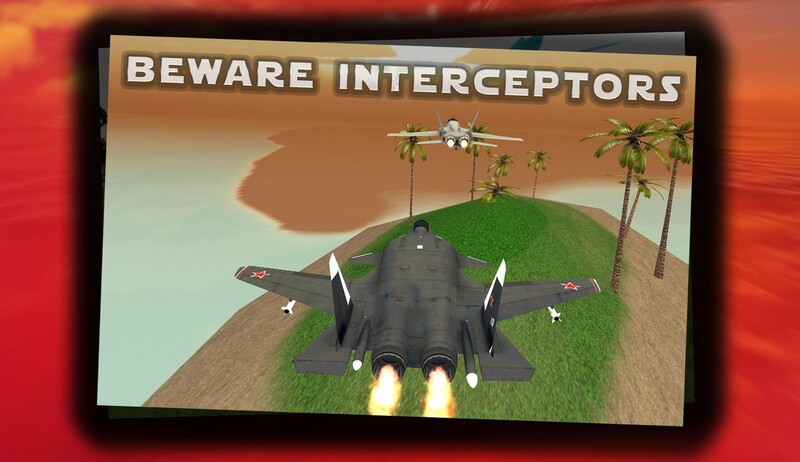 That does not let our Jet Fighter fly out of radar zone and… enemy jets scrambled from nearby aerodromes to intercept you. 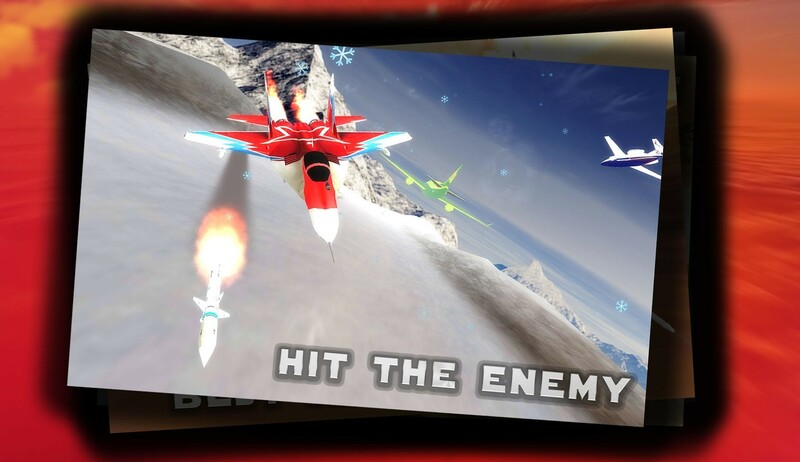 Shot down an enemy with air-to-air missile or just avoid him with afterburners? The choice is yours! 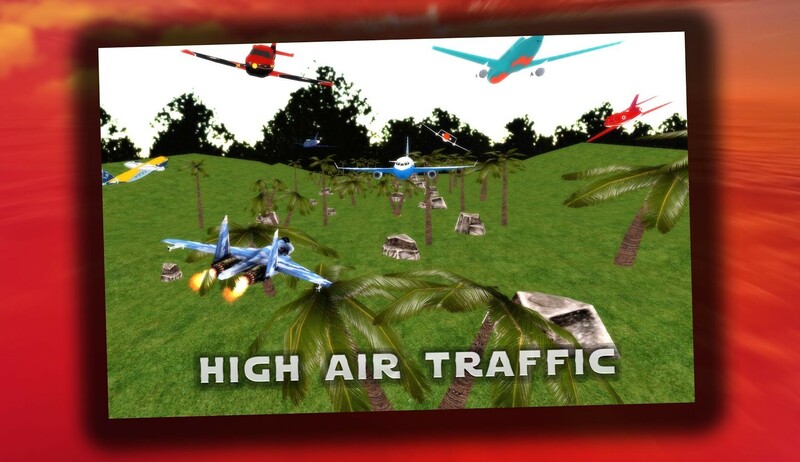 And you going to made it right now in the great game Jet Fighter Traffic Air Race! • MiG-21 “Fishbed" – legendary Soviet jet fighter. Put the fear in American F-4 Phantom pilots during Vietnam War. It was popularly nicknamed “Balalaika”. Most produced supersonic aircraft. • McDonnell Douglas F-4 Phantom II – American jet fighter used extensively during the Vietnam War, that set 16 world records. • MiG-29 “Fulcrum” – tactical fighter optimized for air supremacy. 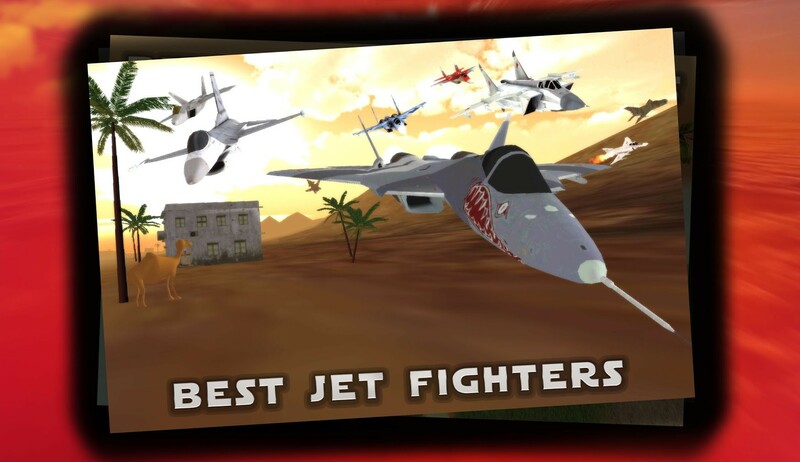 Has a big advantage in the dogfights. • F-16 Fighting Falcon – multirole fighter aircraft, world’s most mass produced 4th generation aircraft. Many countries are operators. one of the fastest combat jets in the world. • F-22 Raptor – all-weather stealth tactical fighter aircraft, first and only for now fifth-generation military aircraft in service. • SU-47 "Firkin" - experimental supersonic jet fighter with forward-swept wing, that gave the aircraft advanced maneuverability. • Т-50 PAK FA – stealth 5-th generation Russian multirole supermaneuverability fighter designed for air supremacy. Will be operated since 2016. • You will need to show unbelievable reaction! Would be cool if you’ll share our post or leave some comment, so we can make Jet Fighter Traffic Air Race better: add new aircrafts, locations and features.